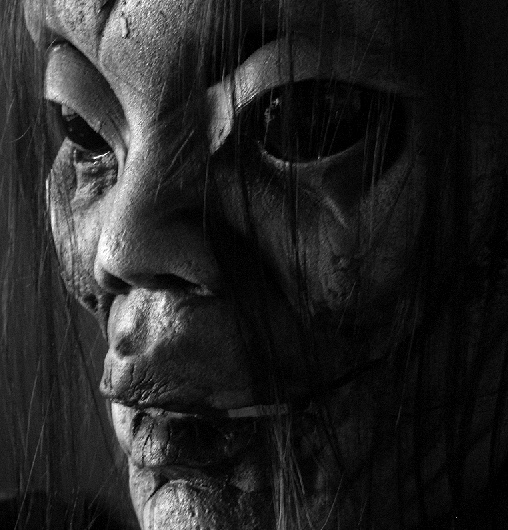 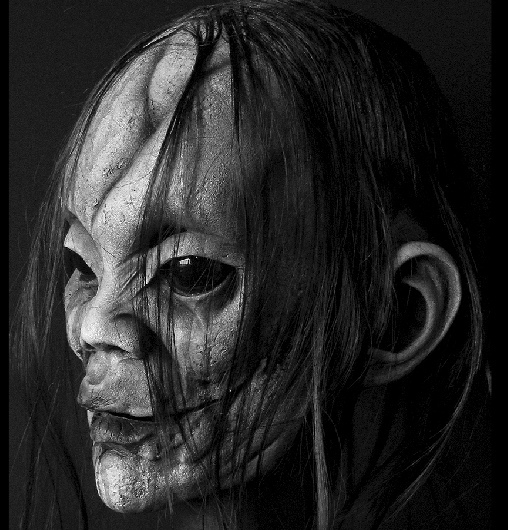 black gloss eyes and long black thinning hair, giving this mask a very eerie look. 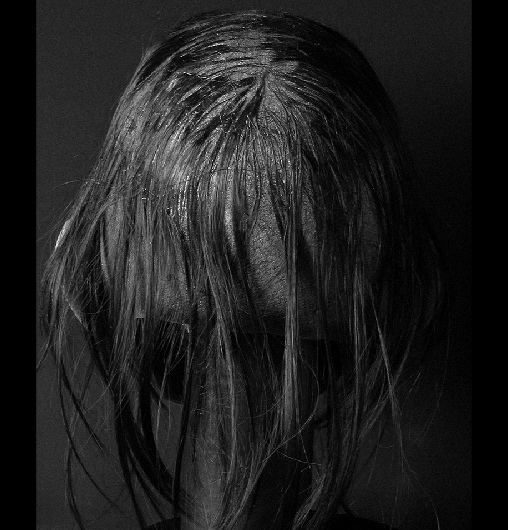 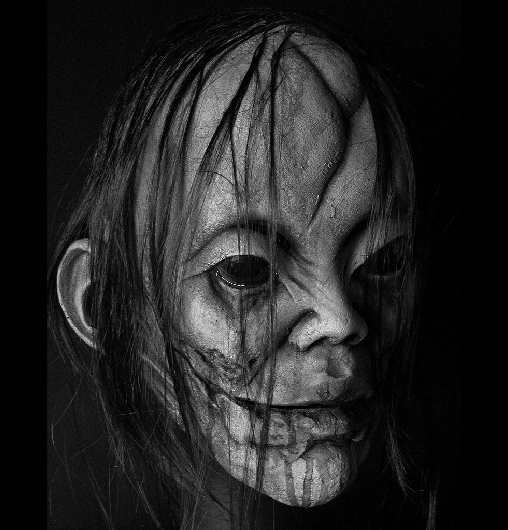 A simple but very creepy mask! 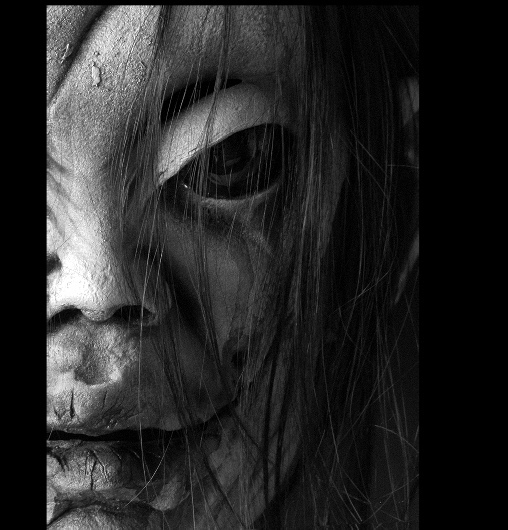 eyes in the dark crease below the brow.